Cohasset Village! 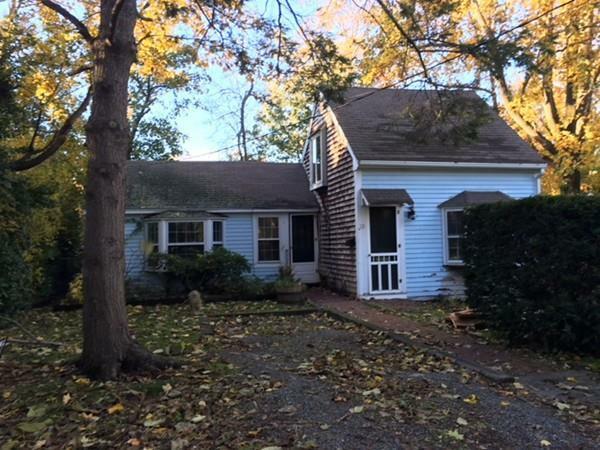 Lots of potential in this charming two bedroom farmhouse, in neighborhood of much higher priced homes, and within steps to stores, restaurants, train, and harbor! First floor features one bedroom, full bath, living room, dining room, kitchen, & sunroom. Second bedroom upstairs. Fenced yard! Main part of house built in 1800. Kitchen & sunroom added in 1960. Town water & town sewer! Lowest priced house on the market in Cohasset and in a great location!! Opportunity is knocking for someone handy, as it does need some work ~ BUT well worth it!